Outgoing chairman of UEM Sunrise Bhd Tan Sri Ahmad Tajuddin Ali says the company will remain on firm footing for the foreseeable future because of its rich landbank reserve. UEM Sunrise currently has more than 5,261ha under its belt, representing a potential gross development value of RM80 billion. Furthermore, Ahmad Tajuddin explained that the land was inherited with no holding cost and that it provides the company with enough development potential for next three decades. At the company’s ninth annual general meeting held last week, he said the prevailing soft market condition has actually enabled the company to strengthen its internal processes and build the required fundamentals to achieve future goals and visions. 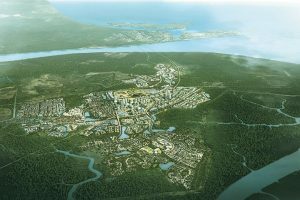 Aerial view of Gerbang Nusajaya. He indicated that the company would likely focus on the mid-market segment going forward as there was still notable demand for properties there. “The company recognises an opportunity to leverage on the existing landbank to develop double-storey terrace houses in both the southern and central regions to meet increased demand for mid-market landed properties,” Ahmad Tajuddin told the press at the event. 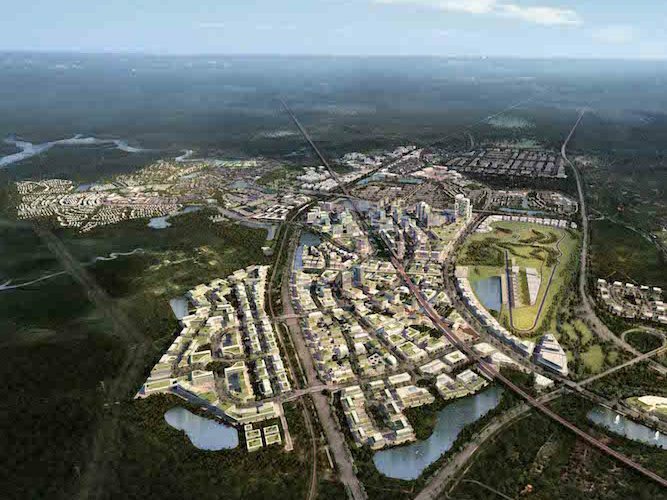 UEM Sunrise’s existing landbank includes strategic parcels in Johor, Selangor and Kuala Lumpur. 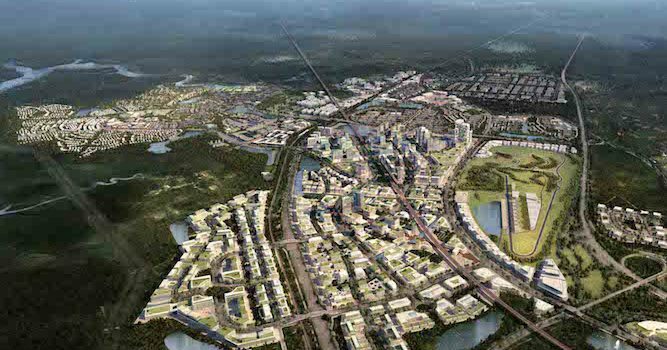 Of these, its asset in Johor measures the largest with 4,047ha of development land. 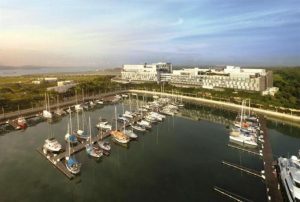 Puteri Harbour is rapidly developing into a popular haunt for tourist and lifestyle seekers. In addition, the company also owns land in Durbin, South Africa. It is currently looking for suitable investors for a retail, residential and hotel development along a beautiful waterfront area. On its foreign projects, UEM Sunrise has indicated that it will focus attention on ongoing projects in Australia, specifically in Sydney and Melbourne. Tan Sri Zamzamzairani Mohd Isa will now take over as chairman of the company. Although Ahmad Tajuddin has officially retired, he will continue to hold the chairmanship for the UEM Group board.